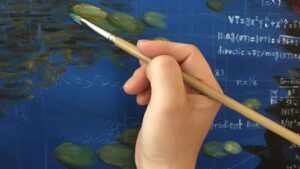 Do you know what is a forensic Artist? No? So let’s read this amazing interview of Artist Jae Billingham. She explained to us her everything, but her art is not limited to forensic matters, it is a very wide range of styles as you’ll discover! Thank you Jae Billingham for accepting to answer our questions. Please tell us a bit about yourself and your universe? orn in the UK and I can say I had a very happy childhood. I was born in the later end of the 60s, people were a lot more stress free in those days and can always remember life just being easy. Art was always a part of my growing up, we had a few talented artists in the family but I was the only girl in the family that had inherited the drawing gene. For as long as I can remember I had a pencil in my hand, I was especially fascinated with face’s and loved to draw them. It is only natural that I am the artist I am today. Were you always interested in art growing up? How did you come to drawing? Always yes. It was very evident to me that I had a drawing skill. In School, art was my favorite subject and can always remember Wednesday afternoons in Senior school, 4 hours of art, I never missed a Wednesday. How I came to drawing is a difficult one to remember because I don’t really remember how I got started, but I do remember watching my uncle and cousin draw when I was very young, in fact my uncle was a great tattoo artist for a while. I guess influences got me started and when I knew I had the talent it just grew from there. Wow I have many special people who have guided me and all of them come from the Forensic Art background, they still guide me to this day. I will leave names out of it, but they know who they are. In fact, I am traveling to Scottsdale, Arizona in April to attend a Forensic Art workshop where I will be meeting up with many of my special guides. Could you explain your work as a forensic artist? Well I reconstruct face’s of human remains for identification. Many of the remains are unfortunately victims of crime. If a case lands on my desk you can be sure that Law Enforcement have exhausted all traditional means of identifying this person. It is my job to give them back a face and hopefully catch the attention of someone who may have known them. This tool is a very successful one but I must stress we are a small facet that goes into the work of identifying human remains, it is team work. Another aspect of your art is drawing portraits of living persons and studying their facial expressions. What could you say about it? Yes, the living, I started drawing people I knew, mostly family and friends. I find people have a fascination with seeing a drawn portrait of themselves and I had a skill of not just drawing the face but drawing their personality. It’s hard not to notice facial expressions when I had been studying them so much, I find myself daily observing people’s faces all the time. I started an interest in facial expressions back in 2010 I think it was, and it all came about when I got interested in a TV show called Lie to Me. The show was based on Paul Ekman, for me he is the master of facial expressions. I started to study Paul’s Methods and participated in many of his courses he offered online. I have always believed that the universe has our backs and will put things on our path that we will need so it was very ironic when I lost my hearing in 2013. The study and experience I have had with Paul Ekman has really helped with reading faces, watching lip movement, eye movement etc.… I feel like I got a head start in rehabilitation of my hearing loss. The choice of the celebrities you draw – heroes of movies like “Underworld”, “Psycho”, the Crow” – is a revealing detail. How did your job influence your Gothic universe? was Death already a theme you wanted to explore? Well I will start off by saying I shouldn’t really consider myself a Goth, I do wear a lot of black clothes, lots of skulls themes and I am into Gothic Rock music, I just love the culture. The Crow is the ultimate Gothic Movie, or at least it is for me. When I draw, I don’t just use a reference photo, I use multiple reference photos to look at and I also watch the movie as I’m drawing, I get right into the core of the movie and watch the character’s actions and movements whilst drawing. I sometimes draw from memory but that is a technique I learned in Forensic Art. Of course, the Death theme is associated with anything Gothic, So yes, my job has had a big influence on my Gothic Universe. 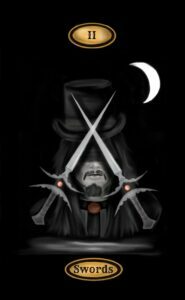 I get to be round skulls and gory details, its Gothic Heaven to Goths, or should I say Hell., but I must stress Forensic Art and my Gothic culture are 2 very separate things in my world. Forensic Art is my career and you must remember that the face’s I draw are people that have been subjected to horrendous actions that have taken their lives and I treat those victims with the upmost respect. My Gothic art is merely my escape into a fantasy world where everything is make believe. For me it’s very balanced, reality verses fantasy. 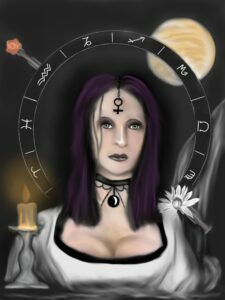 I’ve heard that you were on a new project, drawing a full set of Gothic-styled Tarot cards. Why this project? What compelled you to do it? Tarot Cards, usually peoples first reaction is evil, you shouldn’t mess with those things, but it couldn’t be further from the truth. Evil, Satan etc.…. are connections that have been expanded on through the media, television and movies. It wasn’t until I researched Tarot Cards that I found it all quite innocent and doesn’t deserve the bad rep is sometimes gets. Tarot goes back to the 15th centaury and was just a game played in and around Europe, but like everything it evolved and unfortunately along the way it has picked up a stigma of being associated with the dark arts. 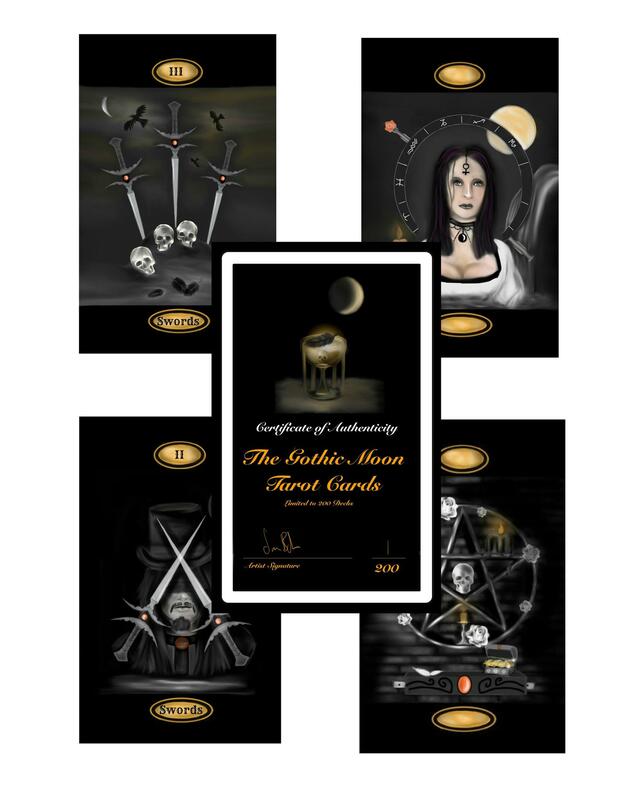 Yes of course you will see Tarot Cards associated with the dark arts but it certainly wasn’t created with that in mind. Anyways my art seemed to be heading to a certain genre, I love Vampires, Werewolves, Gothic fantasy art so of course that came out in the theme of the Tarot Cards. 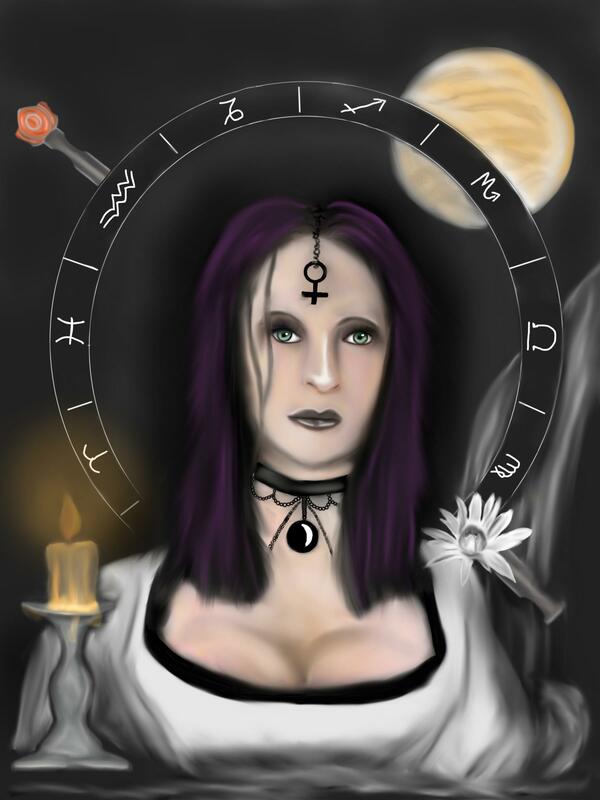 I have tried not to go too dark as I want the cards to appeal to a wide audience in the Tarot world. I have seen some of the most symbolic fascinating pieces of art on Tarot Cards, beautiful works of art. The amount of creativeness you can put into a Tarot card is endless and you can be as abstract as you want. I was told I should start with creating the Major Arcana cards first, which, I started to do, however that wasn’t working for me because there were days when a certain card just didn’t appeal to me. I found that my emotional awareness was dictating what card I would do on any day. 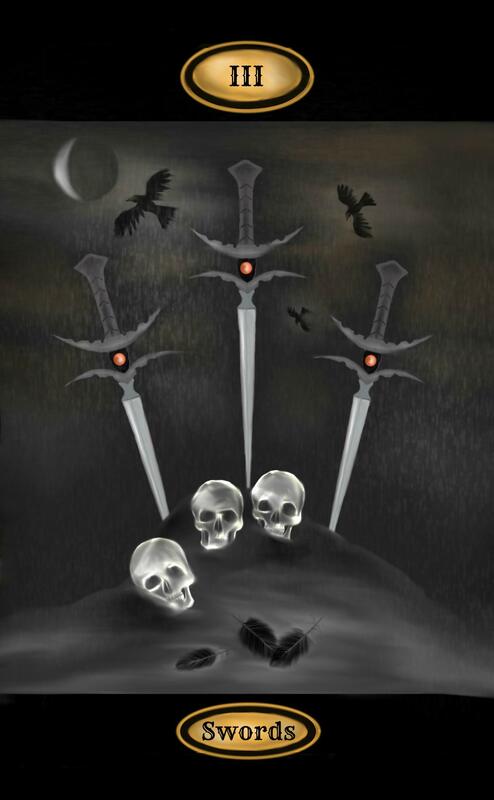 For example, I remember when creating the 3 of Swords, I was feeling a certain sadness that day, which fitted in perfectly with the theme and meaning of the card. The 3 of Swords theme is heartache, a time of sadness. I can defiantly say I am putting my heart and soul into this project, the cards make us explore ourselves especially from an emotional stance. 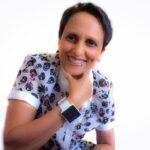 Whilst I am doing the artwork for this project, I am in no way a Tarot Card expert so I incorporated the help of a Tarot Card reader and expert to author the cards and companion book. In fact, she is so observant that she is seeing illustrations in the cards of which I have no explanation to why I included it in the card, but there must be a subconscious reason. Every card you see is an expression of me and my creativity, there is no better way to express yourself than with art, which is why I chose to put my art on Tarot Cards. Is it linked with Life and Death? Is there something metaphysic in your quest? I see life and death as the same thing, death to me is a transition but that is subject I could talk about and would pretty much take up this whole page. Metaphysic, absolutely the Tarot Cards are constantly making you examine the relationship you have between your mind, heart and the trials of life and I hope my Tarot Cards present themselves in that way. Well I have always been described as an introvert. Some people see that as a problem, or there is something wrong with me. Not at all. I may be alone a lot but I am not lonely, so no Its not a lonely life for me. To be honest my mind is like a constant movie I could never be alone which is why I have several projects I am working on now. I am constantly thinking of new projects and it’s not enough for me to just be sitting drawing, I must be in it, which is why The Crow project is very special, it features a full production video and music track, I have never attempted a project on this scale before so I am very excited about it. Be yourself no matter what others may think of you, because what others think or feel about you has nothing to do with you. If you have any question, don’t hesitate to let a comment below, Jae Billingham will be happy to answer you.